WeLink — Lightning fast Internet you can rely on. lightning fast internet you can rely on. "WeLink is hands down the best internet I’ve ever had! They put Google pucks in my home and my internet is fantastic wherever you are in my house. I haven’t had an outage or any interruptions and the price point is amazing. I couldn’t be happier!" Most home internet providers are a huge hassle! You’re paying all this money for a connection — shouldn’t it work when you need it? Doesn’t it seem like you pay a lot for what you get? Don’t even get us started on all the hidden fees and extras. It seems like your connection works great when you are right by the router, but why can’t you stream a movie in your bedroom? together, we can build a better internet. 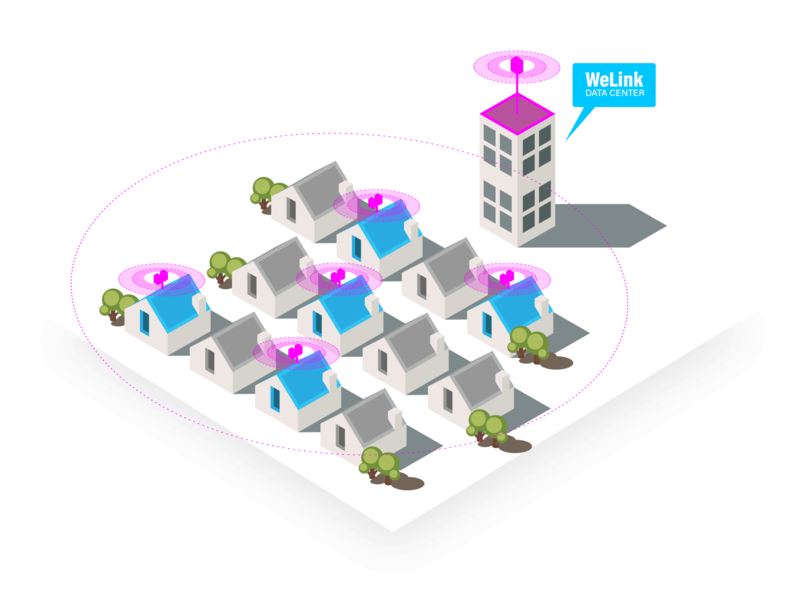 WeLink was created as a way to take access to high-speed internet back into our hands and control as customers. Our neighborhood networks provide lightning fast high-speed internet access, with affordability and amazing customer service to match. Experience the difference with our Wireless Fiber service. how fast is "fast" ? Our Wireless Fiber delivers top-of-the-line speeds with business-class reliability to your neighborhood. Residential Internet has never been this good. "But how fast is that...really?" Our Wireless Fiber WiFi keeps communities connected. We're breaking up the monopolies. Get the fastest speed for a fair price. No hidden fees or loopholes— none...nope...nada. Let's link up and get you connected! Go ahead and make the switch to a better internet provider.